The DSCC pancake load cell / low profile load cell range are manufactured in stainless steel and are suitable for use in weighing and force measurement applications. Request pricing today. They can operate in both tension and compression and are commonly used in materials testing and component fatigue testing applications for axial force measurements where a high accuracy, low-profile device is required. The high frequency response of the DSCC pancake load cells also makes them ideal for dynamic force and load measurement applications such as crash test walls. The high-speed analogue SGA amplifier is an ideal compliment to the DSCC pancake load cell, offering a conditioned signal output of 4-20mA, ±5Vdc or ±10Vdc with a bandwidth of up to 6kHz. As with all our pancake load cell designs, the DSCC can be modified to suit your specific requirements, with alternative threads, custom dimensions, counter-bored mounting holes and higher capacities in excess of 3000kN possible. For harsh, wet or humid environments we can make gel-filled pancake load cells rated to IP67. IP68 versions suitable for complete submersion can also be offered on request. 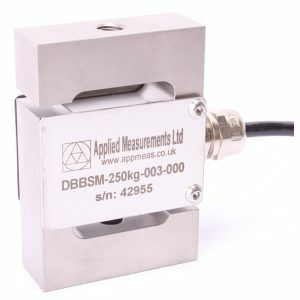 We can also supply the DSCC pancake load cell with a BS EN ISO 376 calibration certificate for use as a reference standard. If you require a pancake load cell with a rated capacity below 5kN for low-range measurements, the DSCRC low profile load cell covers forces from 0-200N up to 0-2kN. Please contact our expert sales team using the form in the sidebar or call us on +44 (0) 1189 817339.